Young actor Sampath Roshan who enthralled the audience through his character in the lengthy teledrama, Jeevithe Lassanai had joined hands with another youngster, Charith Abeysinghe to bring ‘Julia’ to the big screen. Roshan had taken on the role of the director in the movie while Abeysinghe is its producer. They are also portraying the lead male roles in the tale which centers on the plight of a beautiful and innocent young girl named Julia. The charming Nadeesha Hemamali is the lead actress for the film which also stars experienced actors like Ravindra Randeniya, Robin Fernando, Sriyantha Mendis, Veena Jayakody and Rex Kodippily. Roles are also portrayed by Sasanthi Jayasekara, Sandun Wijesiri, Harsha Bulathsinhala, Teddy Vidyalankara, Achala Walpola, and child actress Dinuli Mallawarachchi. Julia is like many young girls her age. She enjoys leading a happy-go-lucky lifestyle as her parents are wealthy. Her time is spent enjoying life with her colleagues till she meets Dilruk who becomes fascinated by her beauty. Julia in turn falls for him but unfortunately for her Dilruk is a sly character. After taking advantage of her he abandons her and heads back to England. Though that seems the end of her tragic plight she soon meets a person who is a part of her lover’s past. Enter Dev - friend turned foe. Dev is on a hunt for Dilru thirsting for his blood. He keeps Julia as a hostage. However life takes a twist and before he realizes what had hit him, Dev is trapped in a web of revenge, deception and power. He is roped into the incidents through his emotions for Julia. The movie was shot in locations in London and Sri Lanka. It is the first local film to adapt the latest high definition technology. ‘Julia’ is also claimed as the first Sri Lankan movie to debut at an international theatre, the Odeon, Empire Leicester square, England, last year. Donald Karunaratne is the cameraman and make up is by Ranjith Mathangaweera. Namal Attygalle is the line producer, Jagath Nissanka the executive producer and Teddy Vidyalankara the stunt director for the movie. The story and script is by Sarath Samaranayake. Ranga Dasanayake will enter the field as music director through ‘Julia’ which includes background vocals by Kasun Kalhara, Gretian Ananda, Bathiya Jayakody and Uresha Ravihari. Dr. Ajantha Ranasinghe, Kelum Srimal, Ananda Padmasiri and Namal Attygalle have penned the lyrics. The still photos are by Indika Mallawarachchi. This week I wish to present an assemblage of quotes from an international personality on the magic and dream world of cinema. Cinema as we know, as many have described, is a ‘dream factory’. Take for instance what the famous Argentinean filmmaker, Pablo Caesar says about the film industry. “During my years in the 1980s people said that video was killing the cinema. But in our days nobody had video players and people still cam to see the films in the theatres. In any case I think we are near catastrophic times because o global warming and that could be the end of the consumer period. I love cinema, but it is an art that depends on an industry. Readers might wonder who Pablo Caesar is! We learn that he is a professor, a member of many international juries, and a writer. Pablo Cesar said that he is influenced by Marcel Proust, Friedrich Nietzsche, Rumi and Omar Khyyam - all great names in world literature and philosophy. He also said that he learned cinema from Pier Paolo Pasolini, Luis Bunuel, Satyajit Ray and Ingmar Bergman - all great filmmakers of the world. In the country’s capital Buenos Aires he teaches in the University there. Bengali documentary filmmaker Swati Chakraborty in clear terms declares that” No artwork can be ‘apolitical’. In a broad sense all work of art talk about the creator’s views and values. It relates to society in on way or other, so you have to take a stand as a filmmaker too”. According to noted Indian film journalist Ashok Rane, “Indian Cinema started changing with the advent of globalisation and has been changing every five years from the 1990s. The heavily loaded melodrama movies are no more. Cinema is now getting more close to reality. A generation of filmmakers has come of age now. You have young directors walking in and making blockbuster movies”. 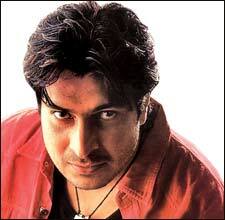 Bollywood actor Sharad Kapoor reveals that “People look for entertaining movies with a good storyline, a good script. A technically good movie is appreciated by all, even laymen”. 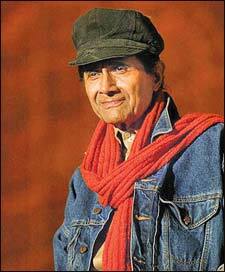 Answering to a question, Sunil Anand, son of the great entertainer of early Hindi films, handsome Dev Anand distinguishes the features in today’s cinema: “Cinema is now about a lot of special effects with lighting and camera, digital work, introduction of a novel concept like collaborated movies. This being the computer age movie can be completed in less than two months”. But his dad, Dev Anand said that nothing has changed Bollywood and “Movies today is more about glitter, glamour with a lot of expenses on films”. Natalie Portman has been lined up to play the love interest of ‘Thor’ in a movie based on the hammer-wielding Marvel comics superhero, it was reported. Portman, 28, whose previous credits include a trio of ‘Star Wars’ prequels and 2008’s ‘The Other Boleyn Girl’, will play Jane Foster in the upcoming production, according to the Hollywood Reporter. Up-and-coming Australian actor Chris Hemsworth had already been confirmed in the lead role while Tom Hiddleston will play Loki, the villainous god of mischief. ‘Thor’ is one of several Marvel characters to make their way onto the big screen, following adaptations of iconic superheroes such as ‘Spider-Man’, ‘The Incredible Hulk’, and ‘Iron Man’. A few could ever boast of such credentials. Well-known assistant director Donald Jayantha had assisted in directing nearly 40 films in his career spanning more then 25 years. Today he is without doubt the leading assistant director in the field having played a significant role in a number of popular movies: from Dehena, One Shot, Parliament Jokes, Vimukthi, Hiripoda Vessa, Anjalika, Asai Mang Piyambanna, Rosa Kele and Prabhakaran to the more recent Paya Enna Hiruse and more. Hailing from the outskirts of Matara, Donald had taken to acting on stage ever since he was 12 while still a student at Deniyaya Kotapola Maha Vidyalaya. After taking up employment as a journalist, he took on roles in some stage plays and teledramas as his ambition had been to proceed as an actor in the celebrity scene. 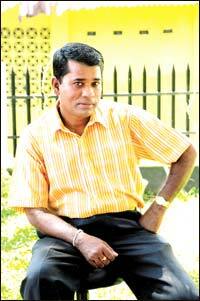 He says that films of yesteryear stars Gamini Fonseka and Malini Fonseka had inspired him. However it was veteran filmmaker Dharmasiri Gamage who brought Donald’s skills in directing to the spotlight as he employed him as the assistant director for Yasa Isuru. “I developed an interest working behind the sets and soon Gamage involved me in Pooja. I have worked with Udayakantha in his films and many others in their projects,’ the ‘man-behind-the-scenes’ told Daily News ‘Projector’. He states that there is only a limited amount of assistant directors in the local cinema scene. “They strive to uphold their career in the field. I am grateful to I. N. Hewawasam who instilled a sense of professionalism into the sector of ADs. An AD is not the director’s assistant. He plays a vital role in coordinating the whole project while the director concentrates on matters like the creative aspects of the movie. “Some mammoth movie creations in the global scene employ more then one AD to look over matters. It is their duty to see that the project runs smoothly,” he enlightened. He had worked as an AD in movies like Mago Digo Dai, Ran Kevita II, Suwanda Danuna Jeevithe and a few more which are slotted for release. He has also got a keen eye to spot talent and had introduced some new faces to the scene. “I still feel that there is more to learn in the field. The world of cinema is changing and upgrading each passing day. There is a lot to grasp. It is time that the authorities took measures to build and upgrade the cinema halls. Though we owned more than 300 theatres, we are left with a little over a hundred today. This is quite a pathetic situation,” he said. He aims to complete 50 movies as AD and take on the director’s seat in the 51st creation. Popular actor Tennyson Cooray is searching for new faces to take part in his debut attempt at directing a movie. Titled ‘Thank you Berty’ the film will star some popular campaigners in the movie scene. Those who are between the ages 10 to 75 are requested to come to the Tharangani Cinema hall, the National Film Corporation, Bauddaloka Mawatha, Colombo, on August 5 between 9 a.m. to 1 p.m. for auditions. For more details call 0714867710 or 0777751930. The sixth ‘Harry Potter’ film raked in 58.4 million dollars on its first day of release smashing the mid-week record, the Warner Bros studio said. Warner Bros bosses welcomed the news, and paid tribute to all those who had waited in line to see the film. “We are so happy to share ‘Harry Potter and the Half-Blood Prince’ with the fans and thrilled that they turned out in record numbers to see it,” said Dan Fellman, head of domestic distribution, in a statement. The film opens this week in major markets around the world, and Warner Bros is expecting bumper audiences. “With many countries yet to open, these already outstanding box office numbers are another testament to the universal appeal of J.K. Rowling’s stories and the remarkable work of everyone behind the Harry Potter films,” said Veronika Kwan-Rubinek, Warner’s head of international distribution. 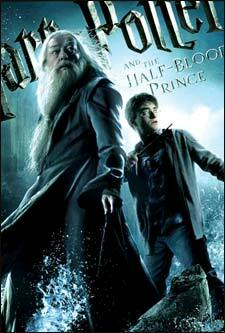 ‘The Half-Blood Prince’ shows raging teenage hormones stalking the corridors of Hogwarts school of magic and sets the scene for the looming final battle between Harry and his nemesis Lord Voldemort in the concluding films. 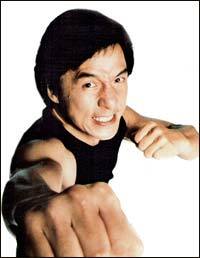 He’s seemingly been attached for ages, but Jackie Chan has finally been confirmed as starring in ‘Kung-Fu Kid’. He’ll play a wise kung-fu master who tutors young Jaden Smith (last seen in The Day The Earth Stood Still, below) in the ways of China’s most famous martial arts. What started as a basic remake of ‘The Karate Kid’ - with Jaden Smith in the Ralph Macchio role and Chan taking over from Pat Morita’s Miyagi - has now mutated into a China-set kung-fu version. Harald Zwart, who brought the world ‘One Night At McCool’s’ and, ‘ The Pink Panther 2’, attended a traditional Chinese ceremony with his cast to mark the start of the planned three-month shoot.